Microsoft released two patches that seemed to break the View 4.5 Client on Windows 7. VMWare has since then released new client builds. The problem is that they provide these as separate downloads and not through an update to the connection servers. 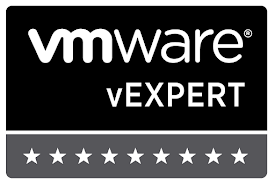 Download the updated clients from VMWare. This is in case you need the older builds. Now copy the updated client install versions into the directory and rename each respectively to the same file names referenced in step 3. Just something cool I learned while listening to a technet webcast featuring Sean Kearney (aka the energized tech) working w/ DateTime objects. In particular, I was messing w/ pruning vm datastore statistical data. Example: Wanted to gather an average disk usage metric from vm’s on a particular datastore, but only for the weekdays between 8 and 5. 3: #Gets VM's associated w/ somedatastore and their disk.usage.average statistic. 5: #Filters out weekends and only pulls stats between 8am and 5pm. 10: -and $_.timestamp.dayofweek -notmatch "Saturday|Sunday"
Let me tell you, it was awesome finding out the get-stat cmdlet pulls date/time properties back as proper datetime objects. Thanks again Sean! It was rather difficult to find information on how to setup a Netscaler w/ VMWare View. So here are my settings. VMWare posted a KB because wrong settings causes issues. You should choose Persistence Type: Source IP. I did a timeout value of 2 min, but to each his own.